1st Annual Hot Dish Battle! Enter your best hot dish and let our Guest Tasters decide who wins! Battle it out for the top prizes of $300, $200 & $100 gift cards. 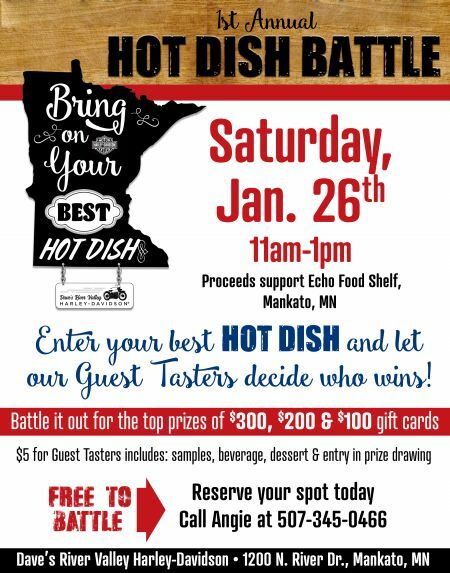 $5 donation to Echo Food Shelf gets you a ticket to be a Guest Taster! Includes samples, beverage, dessert & entry in prize drawing.